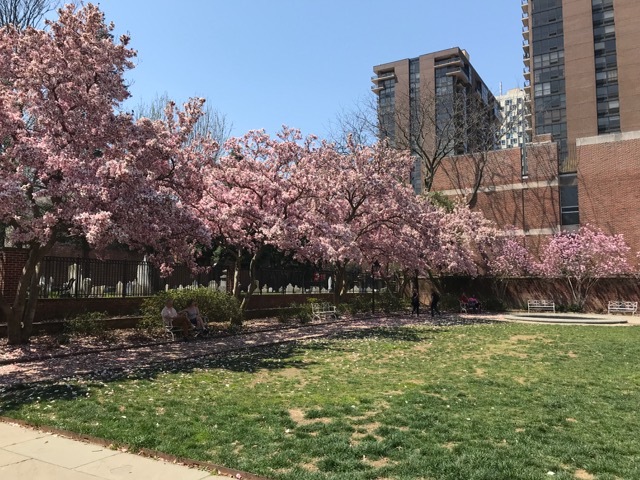 In honor of the 100 Anniversary of the National Park Service, The Philadelphia Committee determined to underwrite improvements to the GCA Magnolia Tribute Garden so this green urban oasis will be enjoyed and used to its full potential for generations to come. 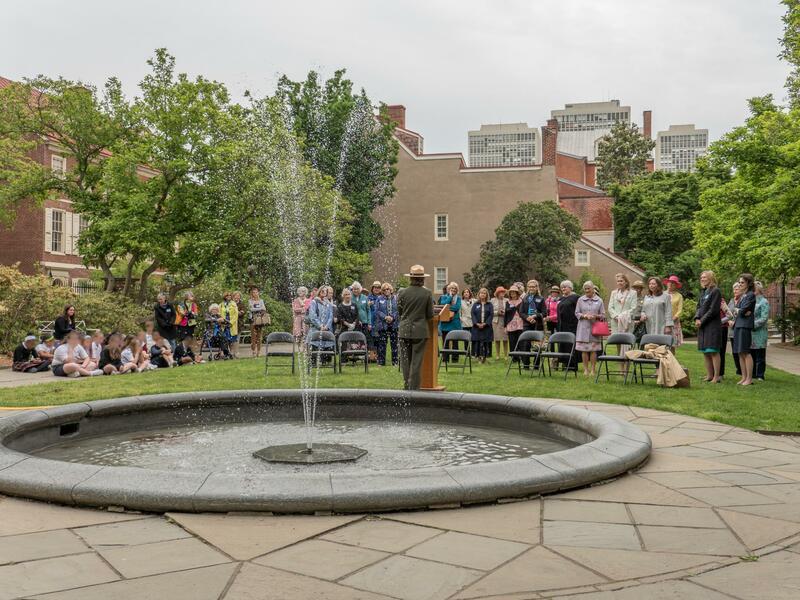 The garden, located on Locust St. between 4th and 5th in the Historic District, was installed by The Garden Club of America in the late 50's and in 1959 gifted to the National Park Service as part of the Independence National Historical Park. 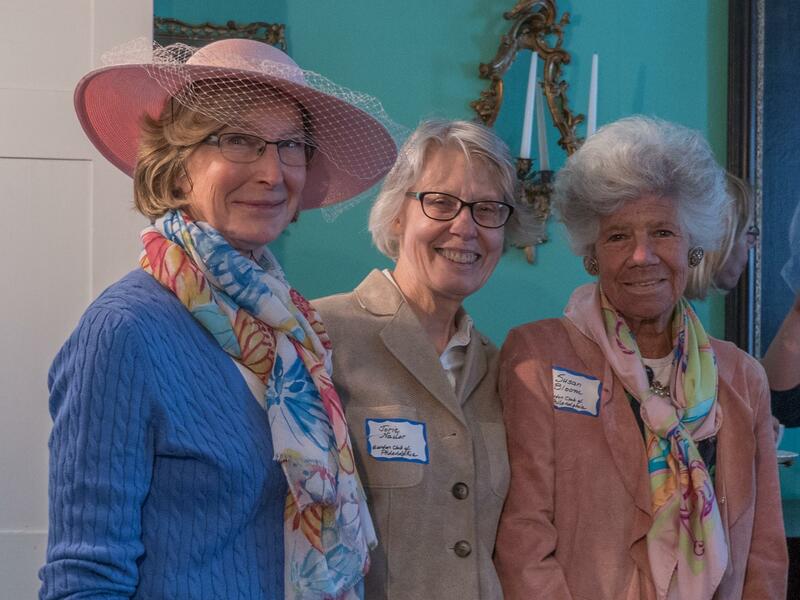 The Philadelphia Committee became actively involved in the garden in the early 80's through workdays and funding as the need was presented. 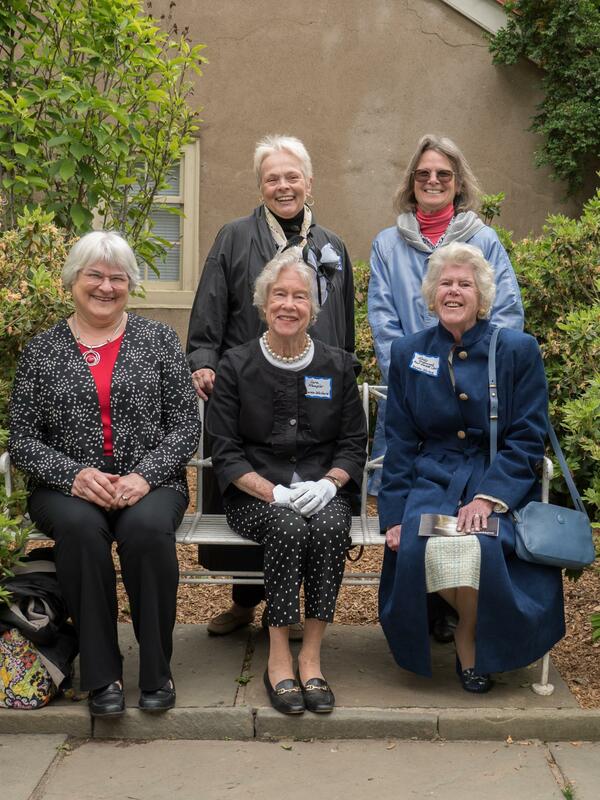 A complete history was compiled by Marilyn Sprague and presented at the 2016 PCGCA Joint Meeting . 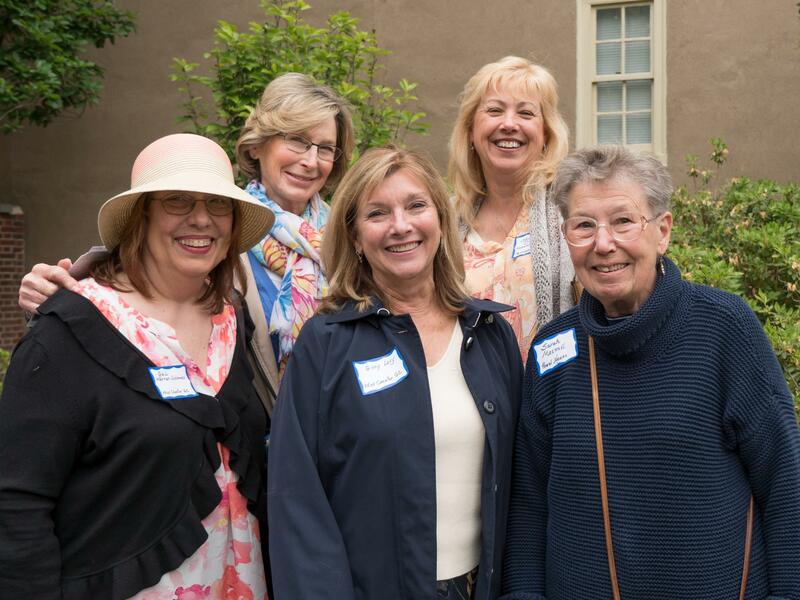 In September, 2015 the Restoration Committee determined $20,000 would be needed to repair and expand the existing irrigation system, replace shrubs, plant new shrubs, perennials and 1,800 daffodil bulbs. The 10 clubs who make up The Philadelphia Committee and individual PCGCA members met and exceeded the $20,000 challenge by mid November. 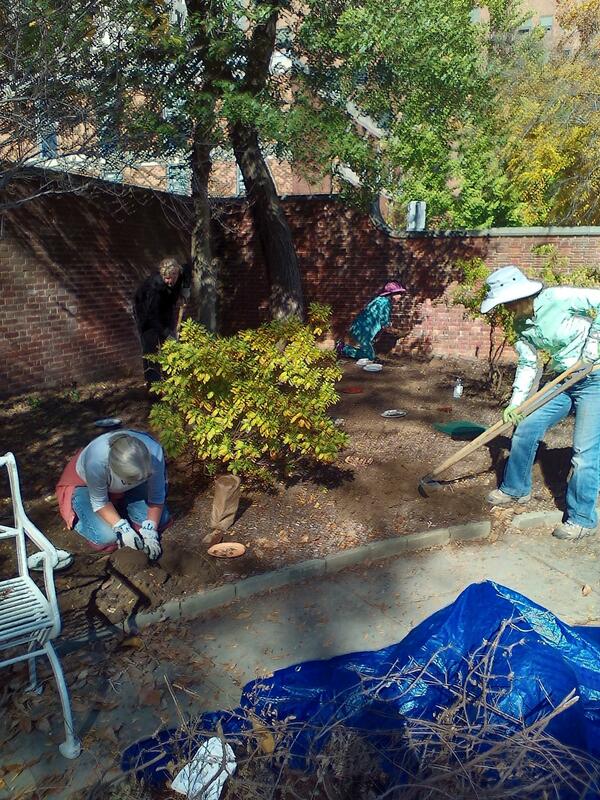 On November 4, 2015 PCGCA members with the assistance of friends and park staff planted the daffodil bulbs and the irrigation work was completed before winter of 2015-16 set in. Spring of 2016 removal and replacement of azaleas and magnolias, and introduction of Hydrangeas to the garden was accomplished with the assistance of a landscaper. 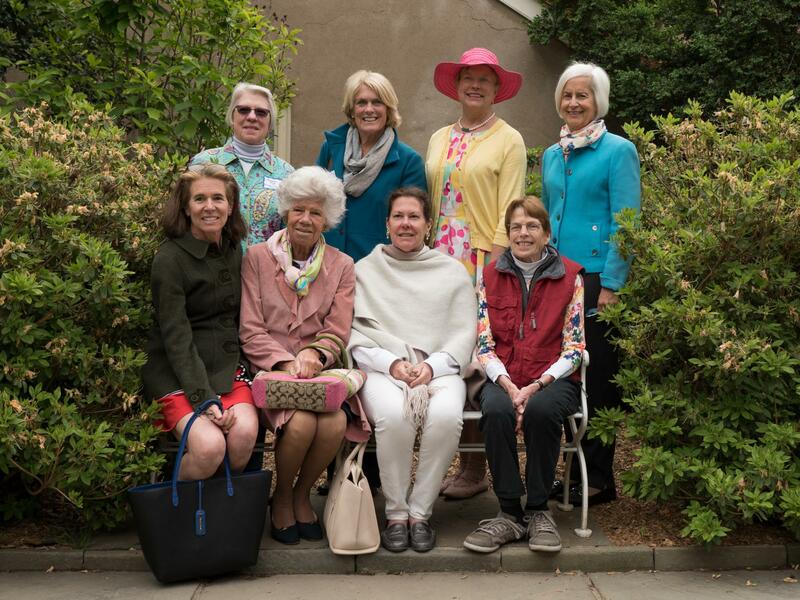 On their scheduled Spring Clean-up workday, PCGCA members pruned and fed the azaleas and daffodils along with general maintenance. 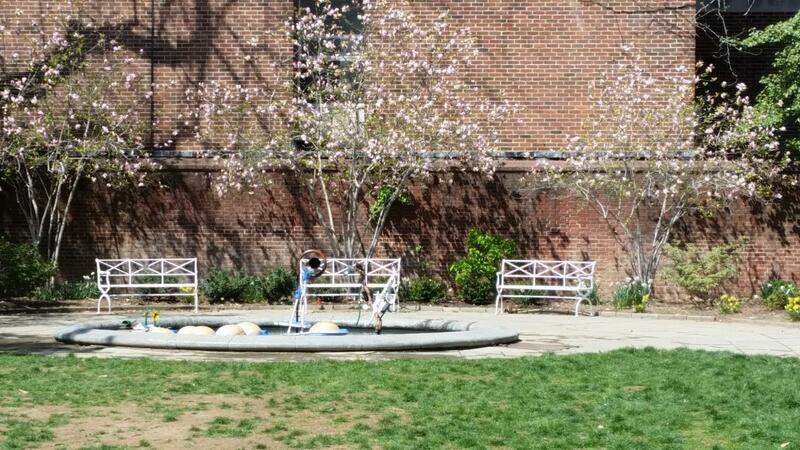 We were assisted this year by the third grade students of St. Mary's School which abuts the garden. Happy 100th Anniversary to our National Park Service. Independence National Historical Park Superintendent, Cynthia MacLeod thanks PCGCA for their stewardship of The Magnolia Tribute Garden. 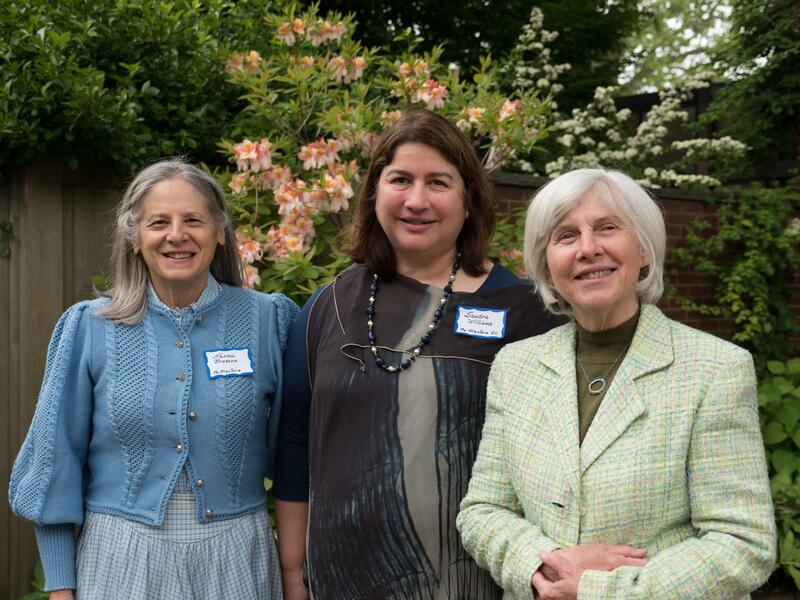 Jean Bodine and Keith Straw, former PCGCA liaisons to the Magnolia Tribute Garden were acknowledged for the 20 plus years of dedication to its care. 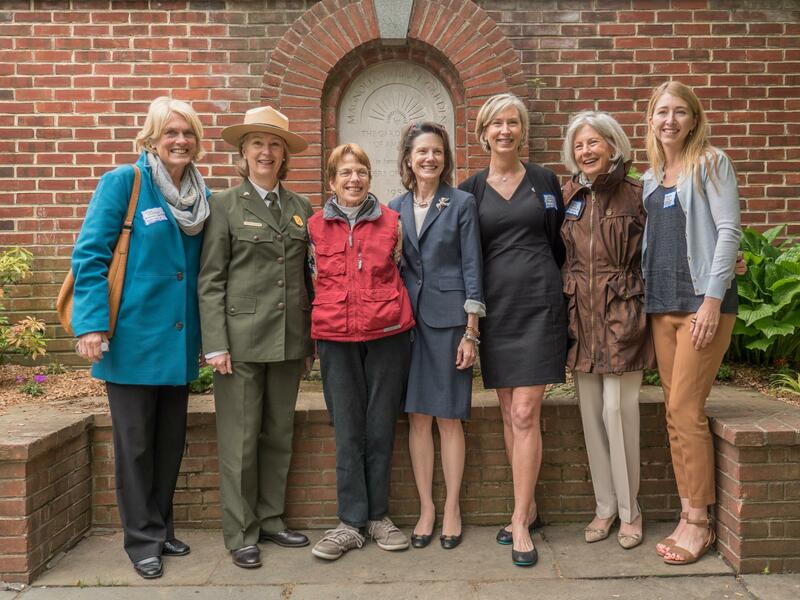 Left to Right: Restoration Committee Chair, Ellen Goodwin, Park Superintendent Cynthia MacLeod, Anne Sims, great niece of Mrs. Platt and Mrs. Rosengarten who founded the garden, Dede Petri, GCA President, Susie Leonard , PCGCA Chair, Lloyd Brown, GCA Director and Amanda John, PA & DE Program Manager for the National Park Conservation Association.